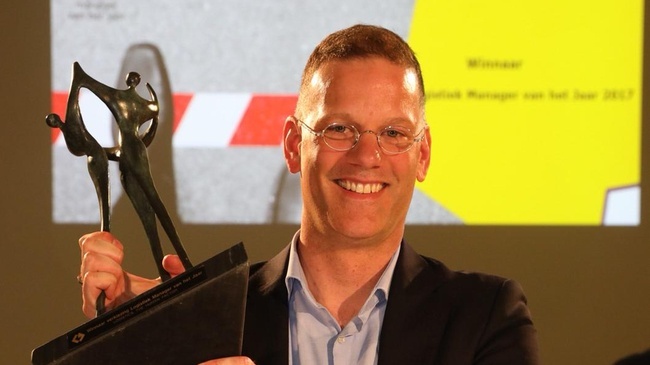 Joris Keizers has won the title Logistics Manager of the Year. Veco's Group Operations Manager has won the prize thanks to the use of Process Mining in logistics. "We think Joris has done a fantastic job," says jury chairman René de Koster. "What convinced us, eventually, is the use of Process Mining and we think this is a fantastic tool that can be utilized in many organizations. Joris was one of the first in this branch, and I think he really set an example that can be followed by many companies."